Uncapped 21-year-old offspinner Tharindu Kaushal has been named in Sri Lanka's squad for the tour of New Zealand, while uncapped quick Dushmantha Chameera also earns a place. Wicketkeeper-batsman Dinesh Chandimal reclaims his place in the squad, but Niroshan Dickwella, who kept wicket in the last two Test series, and Prasanna Jayawardene, who has largely been Sri Lanka's first-choice keeper, are in the squad as well. Opener Dimuth Karunaratne also earns a recall after losing his place to Upul Tharanga for the series against South Africa and Pakistan. Tharanga top-scored with a run tally of 137 in Sri Lanka's most recent Test, but has nonetheless been cut from all formats, following a string of mediocre ODI performances. 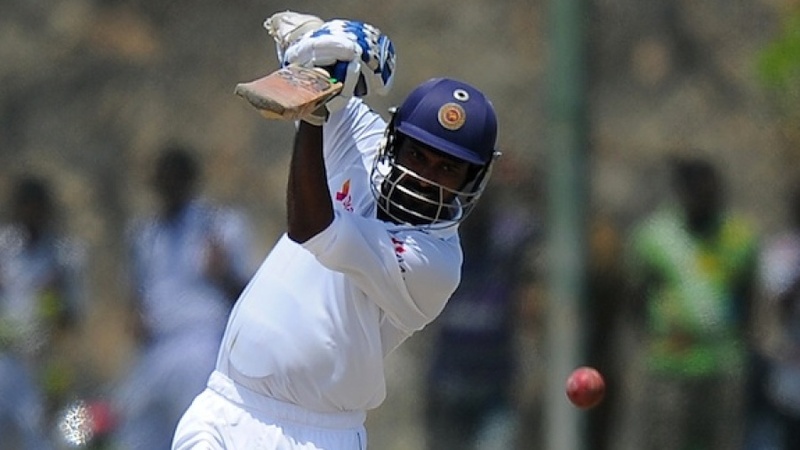 Kaushal Silva retains his place, and will most likely take guard against the new ball alongside Karunaratne. Rangana Herath is provisionally in the 16-strong squad, but may not play in the first Test, starting on Boxing Day, for personal reasons. Offspinner Dilruwan Perera is the other slow bowler in the outfit. Chameera's inclusion comes at the expense of 33-year-old left-arm seamer Chanaka Welegedara, but the core of the seam-bowling unit that has had success in overseas Tests this year remains intact. Suranga Lakmal, Shaminda Eranga, Dhammika Prasad and Nuwan Pradeep have all been named. Kaushal has been among the domestic circuit's highest-rated spinners since making his first-class debut in February 2013. Energetic through the crease, attacking, and possessing a doosra, Kaushal has reaped 133 first-class scalps at an average of 21.95, and has 14 five-wicket hauls. He has played regularly in the Sri Lanka A team over the past 18 months, and was the top-wicket taker, with 15 wickets at 18.40, in West Indies A's recent unofficial Test series in Sri Lanka. Kaushal has also been in two Test squads for home series before, but has not played a match. Like Kaushal, 22-year-old right-armer Chameera also plays for Nondescripts Cricket Club, and has earned a reputation as one of the quickest young bowlers in Sri Lanka. Though he is said to frequently bowl at above 140kph, raw speed has not yet materialised into bagfuls of wickets; he has 42 first-class wickets at 30.07 from 18 matches. The two-Test series will be Sri Lanka's first without Mahela Jayawardene, and Sri Lanka are set to field an inexperienced top order. None of Lahiru Thirimanne, Chandimal, Dickwella, Karunaratne or Kaushal Silva have played 15 Tests. The Boxing Day Test will be played at the Hagley Oval in Christchurch, before the teams move to the Basin Reserve for the second match. A seven-match ODI series will follow.